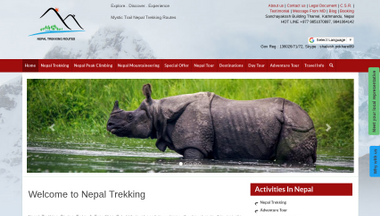 ** – Himalaya Autumn 2010 expeditions. ** – Karakoram Summer 2010 expeditions. American Gavin Turner will attempt a world first: Everest double traverse, from Nepal to Tibet and back, via Everest summit. Gavin has been training for the undertaking during the last two years. He climbed Cho Oyu (with O2 from C3) and returned all the way back to ABC on summit day. In Washington, he climbed Rainier 7 times to the summit, including 4 solo ascents. After completing the 14x8000ers quest on Shisha Pangma last fall, Australian Andrew Lock aims for excellence by summiting Everest without O2 from Tibet and then traverse to Nepal. Andrew has summited Everest twice before, both times with supplementary Oxygen. After a failed attempt last year, Japanaese Nobukazu Kuriki plans to give Everest another shot this spring without O2. The expedition goal is to summit Everest by May 2010, exactly 200 years after Argentina’s May Revolution. All team members are Bariloche residents trained in the Andes. Climbers are Ramon Chiocconi, Alvar Puente, Marcelo Topo Deza, Carlos Charly Galosi and Leonardo Cuny Proverbio. Manoel Morgado (BRA) with Andrea Cardona (GUAT) who will attempt the first Central American lady summit of Everest. Waldemar Niclevicz and Irivan Gustavo Burda will guide climbers to the summit. After a failed attempt in 2008 as members in Altitude Junkies’ team, Australians Brad and Sandy are ready for a second round. After a failed attempt in 2007, Ta of Newfoundland is back to Everest, climbing again from its south side. Ta hopes to bag Everest and Vinson in order to complete the 7 Summits quest. The team’s mission is to help Anne-Mari Hyrylinen to become the first Finnish female Everest summiteer. The team will climb via the South Col route. After a large number of expeditions in Tibet, leader Phil Crampton got a taste of Everest south side last year and goes for more this spring as leader of a fully-supported expedition. Dawa Steven and his Eco Everest Expedition plan clean the peak up to 8000 m and above. The plan this year is to bring down 1000 kgs of trash from above Camp 2 and 6000 kgs from Camp 2 and below. Tim Rippel’s outfit will return to Everest south side. The Everest regulars are back for another year. Another regular Everest commercial outfit back for more. Fresh from Antarctica, Scott Woolums is expected back on Everest south side this spring, leading a fully-supported expedition. Everest mega-summiteer Dave Hahn (the non-Sherpa climber with most Everest summits bagged) is back for more, leading RMI’s 2010 expedition. Eric Simonson’s International Mountain Guides are back for Everest and Lhotse. Ready to bag his 10th Everest summit, Willie Benegas will lead for MM as usual. Dan Mazur is appointing Arnold Coster as leader on Everest south side. The US-based company is also launching teams on Everest north side and Lhotse. Canadian Jamie Clarke aims for his second Everest summit. Fully-supported expedition led by 6-time Everest summiteer British Kenton Cool and Rob Casserley. A Christian group known as Los Valientes de David (David’s Braves) hope to climb Everest for Jesus. Led by Enmanuel Menendez. Of Discovery fame and Nangpa La/David Sharp infame, Russell Brice returns to Everest south side this year. Gerlinde Kaltenbrunner and husband Ralf Dujmovits will return to Everest north face for an oxygen-less attempt. Ralf has climbed all 14, 8000ers (Everest with O2), Gerlinde has Everest and K2 left. Spanish Alfredo Garcia (28) will attempt Everest with Pedro Garcia and Martin Corrales. Garcia previously summited Gasherbrum II (2006), Cho Oyu (2007) and Broad Peak (2008). The team will carry two emergency canisters but climb without O2. Together with his father Paul and Karen Lundgren; Big Bear Lake resident Jordan Romero hopes to summit Everest at the ripe age of 13. Jamie McGuinness is back in Tibet, leading a fully-supplied expedition. Alex Abramov and his 7Summit-Club team will be back to their usual Everest playground: the north side. The UK-based outfitter will also be climbing from the north side. Dan Mazur will lead a team on Big E’s north side. The Swiss expedition outfitter offers expeditions on both sides of Everest, plus Lhotse, Makalu and Cho Oyu. The British outfitter is guiding both sides. After her solo, partial Antarctica ski this winter (Patriot Hills-South Pole), Canuck Aerospace Engineer Meagan McGrath will lead a trekking group to Everests BC and then climb Lhotse, before attempting K2 in summer. 2008 K2 survivor Marco Confortola plans to climb Lhotse with one of the Sherpas who saved his life. SummitClimb’s Everest leader Arnold Coster will also guide a group attempting Lhotse. 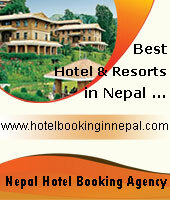 Also IMG will guide both Everest and Lhotse. The Swiss expedition outfitter offers expeditions on both sides of Everest, plus Lhotse and Makalu. I’m definitely’ going to Annapurna in spring, but I’m also considering another attempt (my fifth) on Shisha Pangma during the same season, Edurne Pasaban told media. Leading a climbing-filming expedition by Al Filo de lo Imposible (on the edge of the impossible) Spanish TV documentary series; Edurne teams up with regular partners Alex Chicon, Asier Izaguirre and cameraman Ferran Latorre. Partner of the late MI-Sun Go, 10x8000ers summiteer Jae-Soo Kim is continuing her (and his own) 14x8000er project. Mi-Gon Kim, Hong-Bin Kim are heading to Annapurna after Manaslu. Chang-Ho Kim is climbing Annapurna after a preparatory climb on a another (yet unconfirmed) 8000er. Racing faster than anyone for the 14x8000ers, South Korean Oh Eun Sun chain-climbed Kangchenjunga, Dhaulagiri, Nanga Parbat and Gasherbrum I in just four months before dangerous conditions on Annapurna prevented her from completing her record quest. Now she is back and ready to finish the task, teaming up with her two regular Sherpas. The Himalayan Knight is back to face his last 8000er for the fifth time. Piort is dedicating the climb to long-time friend and climbing mate Piotr Morawski, perished in a crevasse on Dhaulagiri last year. Morawski’s death put an end to the legendary “Three Peters” (Pustelnik, Morawski and Slovak Peter Hamor) who had accomplished some of the foremost Himalaya expeditions in later years. This time, Piotr is putting together a team of seasoned Himalaya climbers, including Russian 11x8000er summiteer Serguey Bogomolov. Joao Garcia will attempt to become the first Portuguese 14x8000er summiteer on Annapurna. Following a new route on Everest SW face last year, South Korean 14x8000er summiteer Young-Seok Park now aims for Anna’s mighty south face. With eight 8000ers bagged, Spanish Carlos Pauner hit a series of glitches on Shisha Pangma and Manaslu last year, now hoping for vindication on Annapurna. American Nick Rice plans to give Kangchenjunga a shot, most likely by the British Route on the south face, and then head back to Pakistan for his second attempt on K2. American mountain guide Fabrizio Zangrilli will lead Australian/US outfitter Field Touring Alpine’s first expedition on Makalu. 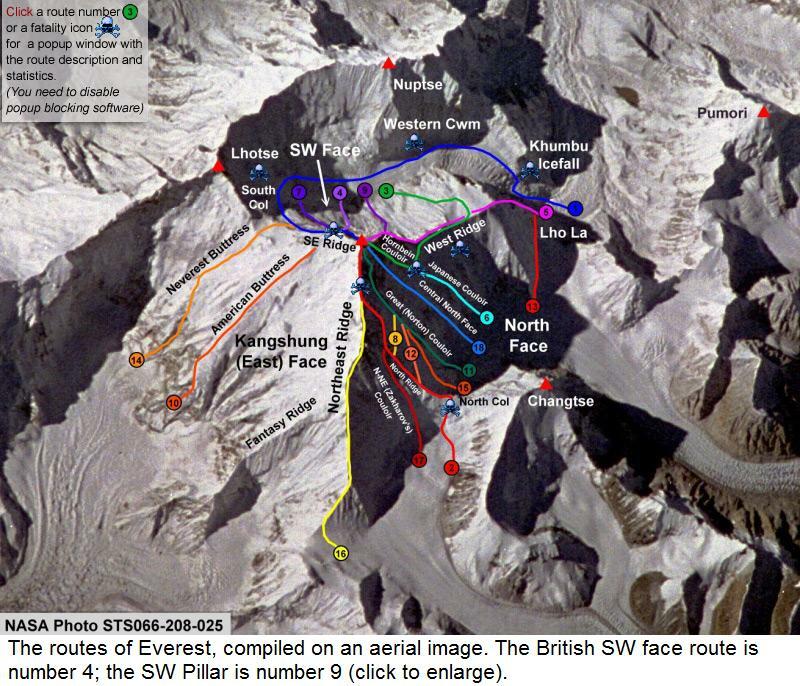 UK military plan a second attempt on Makalu South East Ridge with team of 8 climbers drawn from across the 3 services. The Swiss expedition outfitter offers expeditions on both sides of Everest, Lhotse, Makalu and Cho Oyu. Ernesto Olivares will lead Juan Andres Covarrubias Alcalde, Juan Manuel Santa Cruz Campaa, Andre Claro Gubbins, Martin Riesco Wachholtz, Marcelo Grifferos Caceres and Francisco Larrain Amuntegui. Veteran Spanish climber Carlos Soria hopes to tick off his Himalaya no 9 at age 71. Herbert Wold if appointed leader on Amical’s commercial expedition. Dan Mazur’s American outfit will hit Cho Oyu this spring. UK-based outfit AP will be there as well. The Germany-based outfit will be led by Andreas Sippel. The Swiss outfit has also announced a Cho Oyu expedition in spring, 2009. ** Himalaya Autumn 2009 expeditions. ** Summer 2009 Karakoram expeditions. Mexican David Liaño plans to climb Everest from the south side, traverse to Tibet – and then climb all the way back across the summit after a few days of rest. David, 29, summited Cho Oyu in 2004 and Everest in 2005. Last year, he summited Everest again, plus Lhotse. American Bill Burke is on his third attempt to reach Everest’s summit. Climbing from the south side, once on top he hopes to traverse down to Tibet. At 67, he would also become the oldest American to top-out Everest. Nepalese brothers Pemba Dorje Sherpa (30), Nima Gyalzen I Sherpa (31) and Phurba Tenzing I Sherpa (20) will try to break Babu Chiri’s world record by staying on top of Mount Everest for 24 hours. Pemba (6), Nima (7) and Phurba (1) have achieved 14 Everest summits between them. Pemba, who in 2004 bagged a speed record by topping-out Everest in eight hours and 10 minutes, told media he will be climbing without supplementary O2, while his brothers will use bottled gas. Peruvian Richard Hidalgo is climbing Everest without supplementary O2 or porters. He has previously summited Shisha Pangma and Cho Oyu. 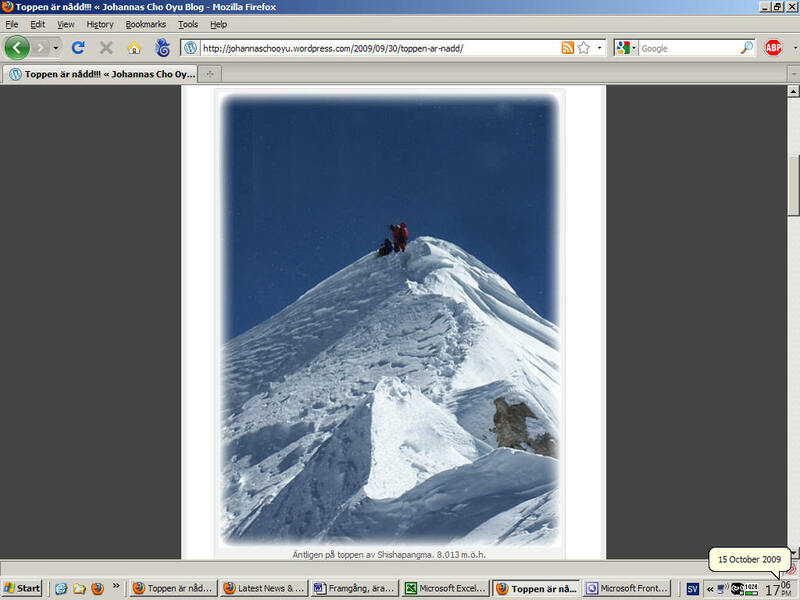 Richard also attempted Manaslu in 2008. Six Singaporean girls hope to attempt Everest from Nepal in spring, 2009. The team summited Cho Oyu in 2007. Tomi Myllys (35, leader), Arri Leino (36), Heikki Karinen (42), Arto Suolanen (35), Mikko Vermas (35), Jukka-Pekka Nurmela (42), Juha Ohtonen (41), Jussi Rahomäki (26), Timo Kemppainen (40), Antti Inkinen (33) and Esa Pietiläinen (BC manager, 44) hope to become the first all-Finnish team to summit Everest. Members in the Airborne Ranger Club of Finland previously reached Shisha’s central summit in 2002 and attempted Everest from Tibet in 2005. Next year, the team is heading for the South Pole. Members are Spaniards Rafael Sánchez, Lolo Díez, Cesar and Bruno Pérez de Tudela (father and son), José García and Ecuadorian Paulina Aulestia. Canadian Manuel Pizarro is ready for his second Everest summit. After reaching the top from Tibet in 2007, now he’s giving a try to the south side, climbing together with long-time friend André Rossin-Arthiat. Juan Gonzalo Ospina (COL) will be leading a team comprising Anibal Piñeda, Daniel Calderón, Jorge Roa Valencia, Oscar Huérfano and Wilmar Marulanda. Watchmaker Michael Kobold, 29, and Will Cross are climbing Everest from its south side. Kobold joined Ranulph Fiennes on a previous attempt in 2007, but had to quit after sliding his had open cutting food in BC. Back then he also met Everest summiteer Will Cross – at the time attempting Lhotse. For this second go, Michael has received training from the U.S. Navy SEALs. According to reports, Ralph Fiennes will also be there, following the expedition with a BBC filming crew. Fully-supported team guided by Phil Crampton – who will also lead a team on Lhotse. The expedition may be launched together with Jammie McGuinness’ Project-Himalaya NZ-based outfitter. Mexican climbers Yuri Contreras and Laura González del Castillo are going for Everest after summiting Manaslu in fall, 2008. 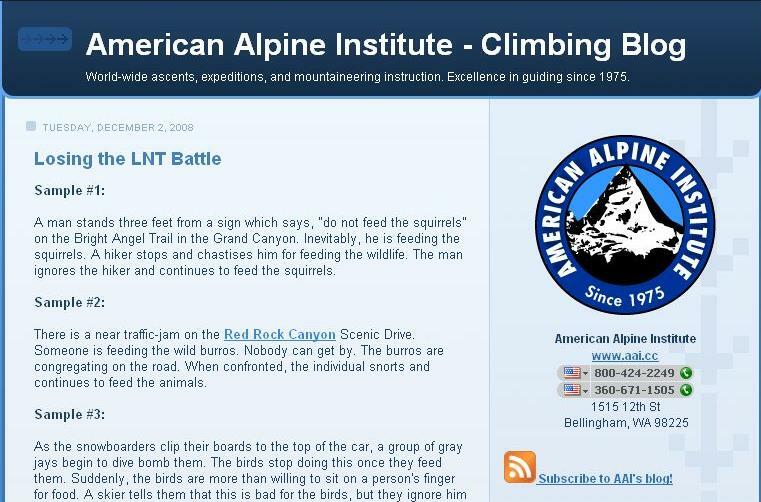 They’ll be members in Phil Crampton’s Altitude Junkies team. British Ian Rogers is joining Phil Crampton’s team for a first attempt on Everest, via the South Col/SE ridge route. Owner Tim Rippel (US) is leading Canadians Patrick Bernier, Sylvia Moster, Dr. Ben Wittman, Todd Lavigne and Rod Smith; Mexican Gerardo López, German Jan Pflugradt and Israeli Daniel Keren on a fully-supported expedition. Assistant guide will be Canadian Craig Evanoff. Gavin Bate is guiding two clients on the SE ridge route. This will be Gavin-s fifth time on Everest. The NZ-based outfitter is launching a fully-supported Everest expedition on the south side. The American outfitter is again launching a fully-supported expedition on Everest’s south side. Mark Tucker will lead International Mountain Guides’ Everest expedition.The company offers both a fully-supplied trip and a non-guided option. One more season, Willie Benegas will lead MM’s fully-supported expedition. American Dan Mazur’s outfitter is launching an Everest expedition on the south side, led by Sam Mansikka. The UK-based outfitter is launching a fully-supported expedition on Everest’s South col route. Fully-supported expedition led by British Kenton Cool. The trip is described on the outfitter’s website as a “professionally led, non-guided expedition for experienced mountaineers.” Appointed team leader in 2009 shall be either Stuart Peacock or Dave Pritt. The Swiss expedition outfitter offers expeditions on both sides of Everest. Henry Todd’s outfitter offers expeditions on Everest and Lhotse. Russell Brice is switching to Everest’s south side this year. His huge, fully-supported team includes five guides: Adrian Ballinger (Brit expat living in Colorado), British Shaun Huston, and new Zealanders Dean Staples, Mark Woodward and Mark Whetu (also expedition cameraman); expedition Doctor Monica Piris (from Spain), a large number of Hi Altitude Sherpas and BC staff, and a filming crew by Discovery Channel following the expedition. An Everest summiteer (2005) and traverser (2007), this times Briton David Tait hopes to top-out Everest without supplementary O2. Successful or not, this will be his last time on the mountain, he has stated. Although guiding for HiMex this season, Adrian also runs a guiding company of his own: Alpenglow expeditions. German Billie currently lives in Nepal, working as a journalist, a mountain guide and assistant with Elizabeth Hawley. Alec, from Fairbanks (Alaska) hopes to turn Everest into the first of his Seven Summits. Previously, he attempted Denali twice. A San Francisco resident, Megan attempted Everest in 2007. Currently living in London, Chris previously attempted Cho Oyu in 2007. Norwegians Asbjørn Hjertenes, Thomas Svane Jacobsen and Tommy Rambøl comprise a team on their own within HiMex’s logistics. They’ve all previously summited Aconcagua and Cho Oyu, among other peaks. Robby, from Durban (South Africa), has previously climbed Aconcagua, Elbrus and Kilimanjaro. Gilad lives in Cape Town, South Africa. By summiting from Nepal in 2002, Hellen became the first American woman to summit Everest from Both sides – she had previously topped-out one year before after climbing from Tibet. Now she is back to the mountain, but apparently not attempting the summit again. According to expedition mates, she may join the team but eventually head for Lhotse. Andrew Lock hopes to become the first Australian to complete the 14x8000ers list, by summiting Shisha Pangma. After Shisha he’ll attempt a no-O2 ascent on Everest’s north side on his own. Andrew has summited Everest twice before, both with supplementary oxygen. Alex Abramov and his “7 Summits Club” is coming back to Everest Tibet side in spring 2009 with 16 members, 17 Sherpas, 5 guides and Doctor. After summiting Everest from Nepal last year, British Lee farmer is now joining an unguided private expedition to attempt the mountain via the North East ridge. Dan Mazur himself is leading SummitClimb team on Everest’s Tibetan side. Launching a fully-supported trip on Everest’s north side in 2009. “The Tibet Autonomous Regional Environmental Protection Agency plans to cooperate with the Tibet Mountaineering School in the first half of 2009 to conduct a comprehensive clean-up of Everest, according to Zhang Yongze, Secretary of the Tibet Autonomous Regional Environmental Protection Agency,” official sources reported. Spaniard Alberto Zerain is attempting Kangchenjunga in spring, 2009. Should he succeed, Kangchenjunga would become Alberto’s 7th 8000er. The Vasque climber has previously summited Everest, Lhotse, Makalu, Hidden Peak, Gasherbrum II and, last year, K2. A five member-strong Koream team hopes to climb Manaslu, Annapurna and Dhaulagiri in spring, 2009. The climbers, outfitted by Ang Karma’s WindHorse Trekking, will follow the normal route on all three peaks. Prior to departure, the Korean team hoped to find new members to share climbing permits with. Czech Martin Minarik and Slovak Dodo Kopold are teaming up to attempt Annapurna’s sheer south face. Prior to departure on March 12th, the team was open to new members to share the climbing permit with. However, Minarik pointed out the offer was strictly limited to cost-sharing up to BC, since Dodo and Him would climb the face as an independent team. American mountain guide Fabrizio Zangrilli is leading a team on Makalu, starting April, 10. After summiting Broad Peak in 2007 and Everest in 2008, Mexican Jorge Salazar is now heading for Makalu. Slovak Peter Hamor and Polish Piotr Morawski are going for Dhaulagiri and Manaslu in spring, according to reports. Portuguese climber Joao Garcia is attempting Manaslu in spring, teaming up with Belgian Jean-Luc Fohal, and French Johan Jérémie Perrier. Should Joao succeed, the “mountain of the Spirit” would become his 12th 8000er – last year he summited Makalu and Broad Peak. In addition to Manaslu, Joao has also Nanga Parbat and Annapurna left to complete the 14x8000ers list. German Johannes Franke and Austrian Egon Rost are attempting to summit Manaslu via its NE side (the normal, Japanese route), and then ski down 3,400 vertical meters down to BC. Inmaculada Garrido (leader), Ingrid Medialdea, Tamara Romero and Lina Quesada are flying to Nepal on March 30th with sights set on Manaslu. The team will count on two high-altitude Sherpas. The girls summited Baruntse last year as a preparatory climb. In addition, Lina Quesada is an experienced Himalayan climber: She has summited Everest, GII and Cho Oyu, and attempted Lhotse, Shisha Pangma and Broad Peak (twice). Chilean Rodrigo Fica (42) is heading for Manaslu, which he’ll attempt as an independent climber. Rodrigo is on his first Himalayan experience, since his regular playground is Patagonia: He was part of the team who achieved the first N-S complete crossing of the Southern Patagonian Ice Field. Rainer Pircher is leading a team launched by the Germany-based outfitter, starting on April 4th. After a first experience last year, the UK-based outfitter is organizing its second expedition on Manaslu in spring, 2009. Dan Mazur’s outfitter is launching an expedition on Lhotse led by Sam Mansikka – who will also lead another SC team climbing Everest. Tip rippel, owner of the US-based outfitter, is the appointed leader for teams attempting Everest and Lhotse. Phil Crampton is leading the two AJ teams – going for Lhotse and Everest this spring. The Swiss outfitter has announced a Lhotse expedition for spring, 2009. Andrew Lock hopes to become the first Australian to complete the 14x8000ers list, by summiting Shisha Pangma. Andrew has previously reached Shisha’s central summit twice, but still he has to climb further up to the main, eastern summit. After Shisha he’ll attempt a no-O2 ascent on Everest’s north side on his own. Herbert Rainer is leading a team launched by the Germany-based outfitter, starting on April 10th. The Swiss outfitter has announced a Shisha Pangma expedition in spring, 2009. Danish Bo Belvedere Christensen is leading a team on Cho Oyu in spring, 2009. Last year, he guided a four-men group on Baruntse, eventually summiting together with two of his clients. Thomas Merkel is leading a team launched by the Germany-based outfitter, starting on April 8th. The Swiss outfitter has announced a Cho Oyu expedition in spring, 2009. Korean Park Young-seok is back for Everest’s SW face. In his first attempt last year, Park’s close friends Oh Hee-joon and Lee Hyeon-jo perished in an avalanche. Now the Korean 14x8000ers summiteer is back, leading a team of 11 climbers. After a successful skydive from 16,000ft at Shyanboche in May, High and Wild have received permit to hold the first ever Skydiving program in front of Mt Everest this October/November. Swedish Fredrik Eriksson and Norwegian Jörgen Aamot hope to climb and ski down Kangchenjunga’s south-west face in the first Swedish/Norwegian ascent of the peak and the first ski descent of its (very steep) slopes ever. They plan to acclimatize in the area before launching a four-day summit push without supplementary oxygen or high altitude Sherpas. Swiss Jean Troillet is headed for the infamous Annapurna south face together with Martial Dumas, Jean-Yves “Blutch” Fredriksen, Kobi Reichen and Sébastien Devrient (camera). American Everest Summiteers Tonya Riggs and Brad Clement are attempting Annapurna, by the French route on the north side. “Tentatively, we will be attempting the Dutch Rib route,” the team also stated. Piolet d’Or winners Steve House, Vince Anderson and Marko Prezelj are setting their sights on Makalu’s difficult west face. Spanish Jesús Calleja is climbing Makalu, assisted by 5 Sherpa and Emilio Valdés on camera. Teaming up with regular climbing mate Luca Vuerich, the Italian couple is back in Himalaya, this time for Manaslu. Once again teaming up with Al Filo de lo Imposible’s Antonio Perezgrueso, Ignacio Delgado, Esther Sabadell, Ferrán Latorre, Mikel Zabalza, Asier Izagirre, Alex Chicón and Juanjo Garra – Edurne Pasaban hopes Manaslu will become her 11th 8000er. Also Polish Kinga Baranowska (Cho Oyu, Broad Peak, Nanga Parbat and Dhaulagiri) is joining this Al Filo permit. The 22x8000ers summiteer is leading a bunch of homies from Alava to Manaslu; the Basque climbers’ original goal of Cho Oyu was scrubbed after the climbers were unable to get a climbing permit. Dragan Jacimovic is leading a large team on Manaslu. Members are Nina Adjanin, Dejan Apostolovic, Dragan Celikovic (Expedition Dr.), Aleksandar Rasin, Zoran Mitrovic, Muhamed Gafic, Miralem Husanovic, Zdenko “Veki” Veljacic, Zdenko Maric, Simona Pogac, Marko Salvic, Dragan Bulatovic, and Milan Radovic. Austrian Stephan Kecks is climbing Manaslu together with Wolfgang Bartl, Martin Sutterlüty and Josef Felder. Peruvian Richard Hidalgo is attempting Manaslu in a preparatory climb for Everest next year. Spanish Rosa Fernandez also switched from restricted Cho Oyu to Manaslu. Mathias Nössig is leading nine climbers from Germany, Austria, Czech Republic and Switzerland on Manaslu. The expedition has two high altitude Sherpas, but no supplementary O2. The two outfitters have joined forces for a Manaslu expedition led by double-Everest summiteer Phil Crampton. Also members are Guntis Brands, Valerie Parkinson and Stuart Smith, plus climbing Sherpas Tarki Sherpa and Pasang Gombu Sherpa. Jagged Globe too have a group on Manaslu instead of Cho Oyu this year. The Swiss outfitter has launched a Manaslu expedition led by Reiner Taglinger. Spanish Isabel Asensio, Vanesa Ortega, Nicolás Durán Jiménez and Arturo Díaz Herrero, from Spain’s Extremadura region, are attempting Cho Oyu via its normal route. Italian Nicola Campani, Daniele Corsini, Fabrizio Silvetti, and Fausto Sassatelli claim they will climb Cho Oyu’s normal route in alpine style and without O2. International Mountain Guides have two climbing permits for Cho Oyu: Team one is led by Olivia Cussen, plus two private guides; Ben Kurdt and John Race. Members are David Rice, John Dahlem, Ryan Dahlem, Monica Rimai, Hamish Walton, Vladimir Grechka, and Robert Meyer. Team 2 is led by Michael Hamill. Members are Christian Bergum, Louis Carstens, Theodore Fairhurst, Nathan Dolbeare, Alfred Schumer, Paul Garry, Michael Chapman and Karel Masek. Owner Dan Mazur is leading the Summit Clima expedition on Cho Oyu. The large team comprises a second guide (Finnish Sam Mansikka), three leaders-in-training (Argentinean Max Kausch, a nd Americans Erik Petersen and Michiel Zuidweg), and 19 international members: Squash Falconer, Suzy Madge and David Fairweather from UK; Finnish Marko Aho, Heikki Kallio, Pertti Kalliola, Mikko Valanne and Raimo Koponen; Americans Kurt Blair, Ron Cloud, Gary Kellund, John Pando, Vik Sahney and Keith Spencer; Australian Tom Clarke and Gavin Turner; Dutch Willem Leendertse; Italian Federico Rota, and Polish Krzysztof Wasowski. Himalayan Experience announces a Cho Oyu expedition to take place from Aug 28 to Oct 07. Confirmation and updates are still expected. ** Summer 2008 Karakoram expedition list. Brazilian Paulo and Helena Coelho are doing their 12th attempt on Everest, sticking to their climbing principles: No oxygen, no high-altitude sherpas. Henrik Kristiansen and Soren Smidt will try a new 7 summit speed record. 10 mountaineers trying the NE Face in the tracks of Jean Franco 1955. Pawel Jerzy Sokolowski is leading fellow Polish climbers Tadeusz Andrzej Henzel, Fafal Lucjan Pieta, Dominik Ziembowicz, Kamil Dawid Gabarski, and Marek Boguslaw Chamielec on Cho Oyu. My name is Abdur Razaq, I am from the most beautiful and peacefull region of Pakistan, named Chitra- Hindukush.I am a Tour Operator by profession and Climbing and Trekking is my hobby. I am offering a good opputunity for tourists from worls wide for visiting the world famous region of Pakistan-Chitral. mountaineering, trekking and adventures in the west of Himlayas, Karakrum and Pamirs rengions. My name is Eashwar and I work for ExpedientInfoMedia.com, a blog Network with 24+ growing blogs. I have enjoyed reading your blog himalman.wordpress.com and thought of dropping in a word. 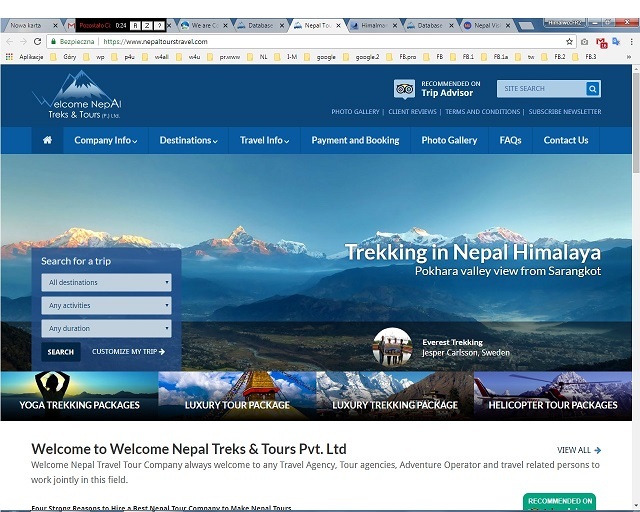 I have initiated an idea to create a blog roll in our blog http://www.campingtourist.com. As both the blogs deal similar topics, it would greatly benefit the visitors; if we could link to each other. The UK based company Coldclimates.co.uk is launching big expeditions to Tibet next year 2011 in Spring season.